Helping Refugees & Asylum Seekers Stergio Liberis saved a little boy, called ‘Abdullah’ and his mother from shouted drowning, after their Boat Sank off the Sea. After this Experience Stergios took action and started to takes part as a Volunteer, on Non Profit Greek Government Organizations as snf.org and Greek Council for Refugees from August 21,of 2015 , when the first boats arrived in the Greek islands, and lots of people and small children lost their Life, trying to reach Greece and take an Asylum. Families have been uprooted, hundreds of lives have been lost, tempers have been raised and politicians have staked their reputations on an issue witch has embraced a vast swathe of the planet. Arrivals to Greek Island Lesvos, during February 2016 is up to 573,625k in Chios : 146,507 and in Samos : 113,446 refugees arrived. Stergio, took the action, creating his own group of Volunteers,started from Athens, visiting all the Hot Spots in the Greek islands meeting the Mayors and the Authorities for the immediate rescue of refugees by the sea,and on their living conditions witch in some of the islands, because of the multitudinous arrivals are truly Awful. Stergio also on 16th of the March, met the Ambassador of United Nations Angelina Jolie in her Visit to Pireus,Greece after a cry of despair of UNHCR in Refugee Issues.The Media welcomed his Act as ”Heroic” taking off his clothes and swim to save the family,but as he said ”this is something that anybody will do in my position, at least i hope that like this should be”. Stergio was Honored for his Act by ”High Profile Supporter” from United Nation OHE as some more Celebrities & Simple Greek Citizens Offered their Help to People and children in need. Stergios since August of 2016 , didn’t forgot his dearest small friends in the Island of Lesvos witch one of the biggest Hot Spot of Refugees is,and he took the time with other volunteers, to learn to the young kids how to swim! 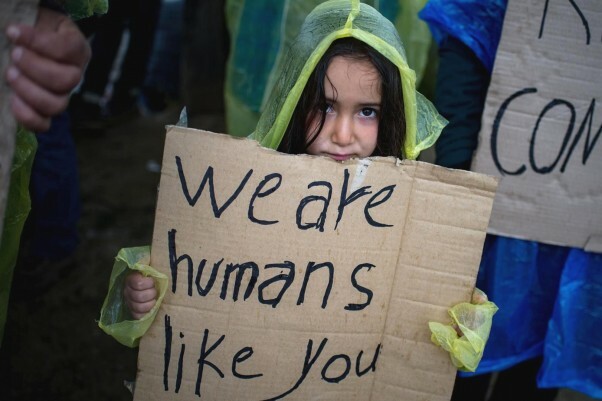 ”The Problem it’s Not Solved (as he mentioned to the Press),but the best think to do in this Tragic Crisis is what we Already here in Greece we do. We open our homes, our hearts and we are ready to share and help this people in this massacre that’s happening to them.Because we are Greeks and we know how is being a Refugee,how is to Have no Home, no food, no where to go… Like my Grandmother, my Grandfather and my Family was”. 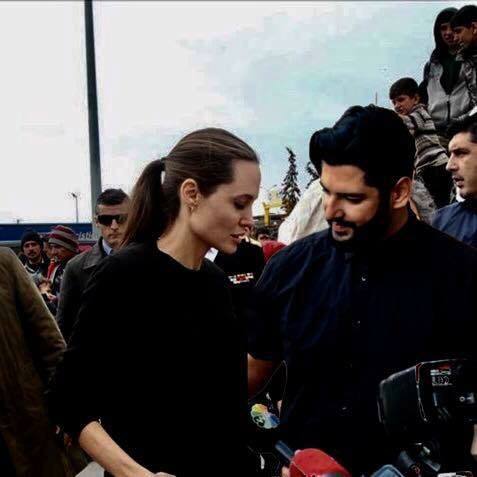 Picture with Angelina Jolie on 16th of March after her visiting refugees hotspot with him in Pireus , Greece. وليد توفيق في مصر، وبمن سيلتقي اليوم؟! أنجلينا جولي سمحت لبراد بيت بإمضاء أربع ساعات مع أولاده بعيد الميلاد! بالصور: أنجلينا جولي في البقاع!